Baseball - Broadcaster. Comedian. Writer. Host. Voice artist. 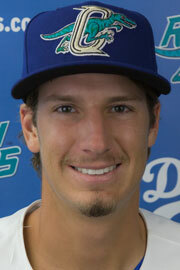 Pioneer League affiliate of the Los Angeles Dodgers. Saturday 3 September 2016. Lindquist Field. Hall of Fame manager Tommy Lasorda returns to the town where he skippered the Ogden Dodgers to back-to-back-to-back Pioneer League banners from 1966-68. "A.P.’s contribution to our 2016 Ogden Raptors club was an integral part of making the season so wonderful. A.P.’s organizational skills, his ability to relate at a personal level, and his passion for understanding and communicating the game was a pleasure to observe on a daily basis. A.P. served as more than a broadcaster for our team, he displayed to us a connection that few are able to forge and an innate ability to vividly share experiences that made his connection so tangible for others. He quickly became part of the fabric of our club. A.P. and I had many conversations during our late night road trips on the team bus. We discussed a wide variety of topics – baseball, family, politics to name a few. A.P.’s attentiveness and curiosity manifested itself in more than just learning about the ballplayers on the field, he desired knowledge about the person off the field as well. This trait – and the consistency of the manifestation – was part of what made A.P. so great. Wednesday 7 September 2016. Grand Junction, CO. 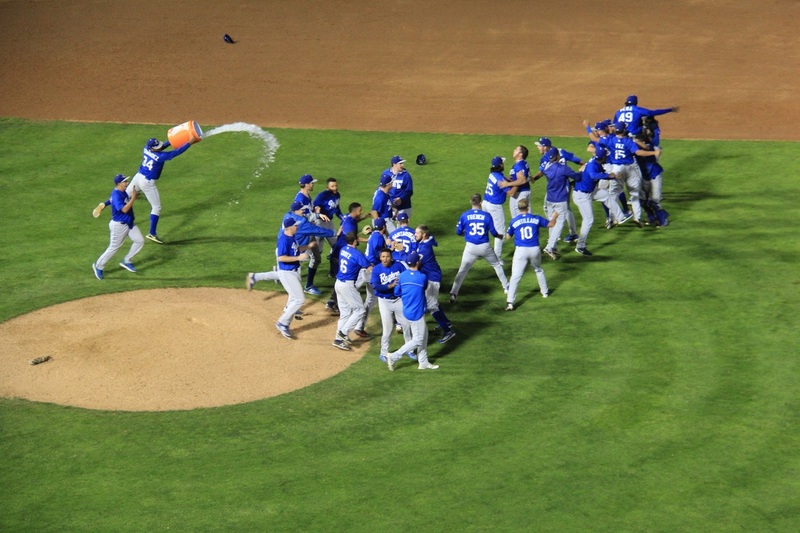 The Ogden Raptors clinch the Southern Division second-half flag in the Pioneer League. "Informational and entertaining. Those are two words that describe A.P. 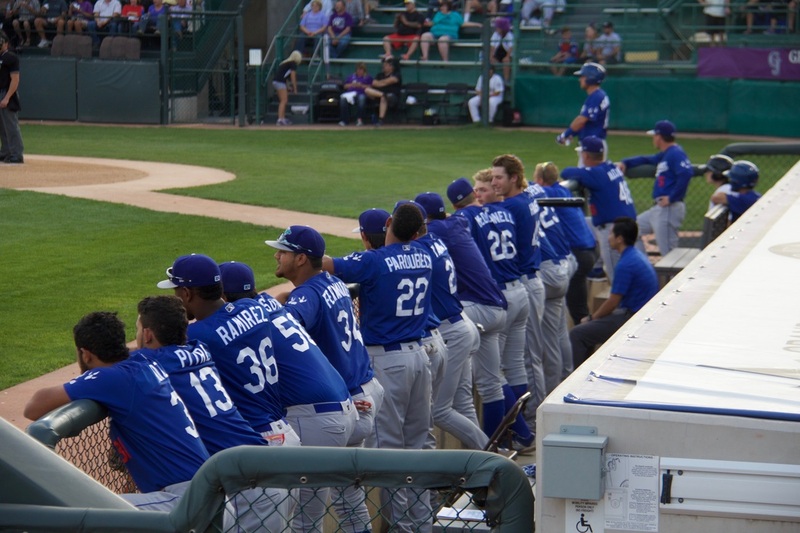 I had the pleasure of working with A..P during the 2016 baseball season with the Ogden Raptors. As the official scorer, I sat next to him throughout the games, so had a front seat 'view' of his delivery: always entertaining but the listener was never at a loss for what was going-on on the field. He truly understands the path to success for a radio announcer by ensuring that the fan is never lacking for what the status is on the field but also keeping them engaged and entertained. I have been sharing the booth with radio announcers for 15 years and A.P. stands out as one of the best. One remarkable memory I have is that during this season, A.P. went out of his way to invite guest announcers to the program. No other announcer had done that and it really added a lot to the presentation. "I first "met" A.P. Harreld watching and occasionally listening along with my wife to his internet broadcasts of Ogden Raptors Rookie League baseball games. 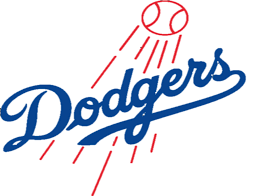 Our son started his professional baseball career with the Raptors after being selected by the Dodgers in the 2016 MLB 1st Year Player Draft and we didn't miss a game. My wife Vicki, by now a devoted baseball fan, unfailingly said, "I really like him" before the conclusion of every broadcast. It was easy to understand why. I liked him too. Plainly A.P. was not only passionate about baseball but in a very warm and real way passionate about Ogden Raptors baseball and the team's young players. Night after night we enjoyed listening to A.P. 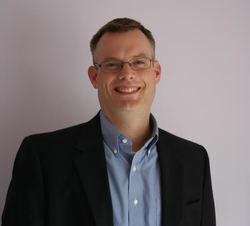 deliver exciting, colorful broadcasts while seamlessly weaving statistics, personal interest stories and comical player anecdotes into the narrative proving that he spent a considerable amount of time getting to know these new professionals. In August, Vicki and I headed to Ogden, UT. to visit our son Errol and take in a week of Raptors baseball. Arriving at Lindquist Field early for our first Raptors game of the week and noticing the open press box windows, I suggested we go up and see the only other person we "knew" in Ogden, A.P Harreld. ​A.P was as gracious as we expected and more. 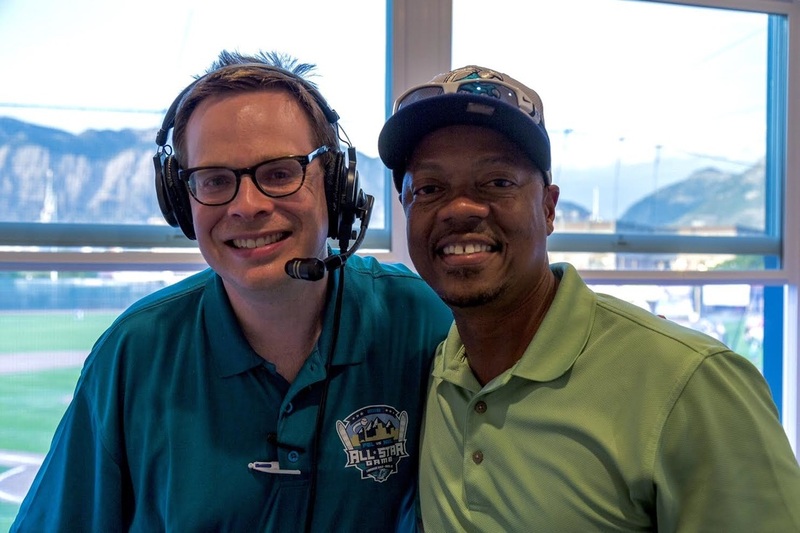 He invited me to join him in the press box in the 4th inning of the next game to give his listeners a player's parent's view of minor league baseball. I was thrilled to join A.P. the next night. He made me comfortable and he weaved my interview into the broadcast with humor and insightful questions. "For six games this past summer, I sat next to A.P. 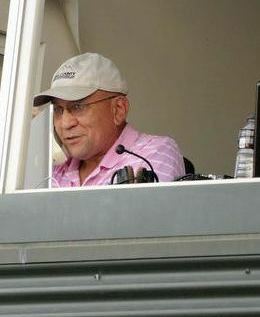 as his producer in Idaho Falls while he called Pioneer League games for the Ogden Raptors. I have yet to come across a broadcaster with such command of language, perfect parlance, and elocution in his delivery. Never short on words or description, A.P. brought the game to life in ways I have not heard in my years listening to baseball; humor, insight, and deft commentary abound! 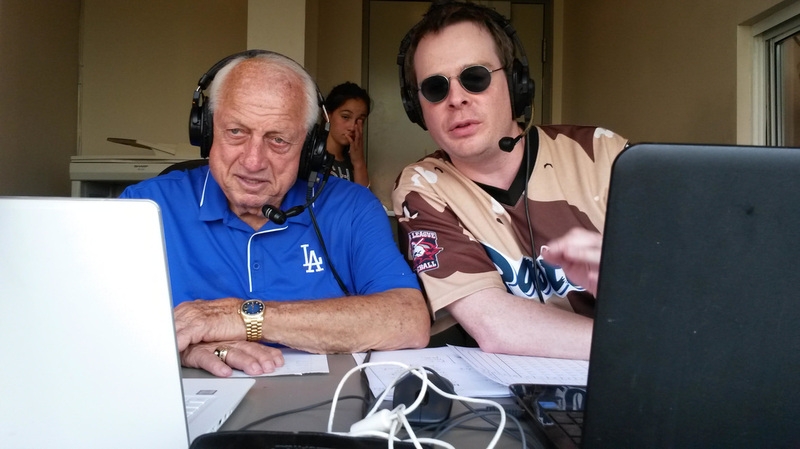 Quite frankly, I have never enjoyed baseball more than when I was in the booth with A.P. as part of his broadcast. On top of the game's broadcast, A.P. 's preparation included providing interviews for the pregame show, which were always an interesting to listen. Armed with questions full of originality, he and his subject were always able to have a fun, informative discussion devoid of boring, canned responses.